We love wine. In fact, we love pretty much anything having to do with wine: news, accessories, new methods in viticulture, you name it! And we want to share our love for this great industry with you. You're probably already aware that each month we bring you different wines, recipes and stories behind the grapes. But did you know that we also promote the Art of Fine Wine as well? With each passing month, we search for both budding and established artists from around the US and we'd like to be able to share them with you. 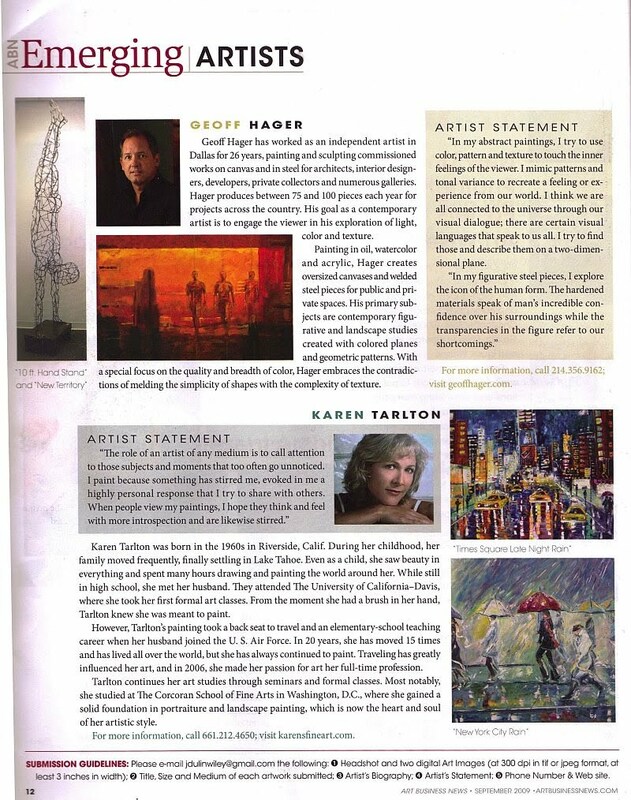 This month's featured artist, Karen Tarlton, was selected as an Emerging Artist in Art Business News Magazine's September 2009 issue. Tarlton studied at a number of notable art schools, has lived in various international locations, and enjoys traveling around the world to gain new inspirations for her work. This particular painting, entitled Vineyard Perspective, has unfortunately already been sold, but a quick visit to her website will let you see other fine original oils on canvas still available for purchase.